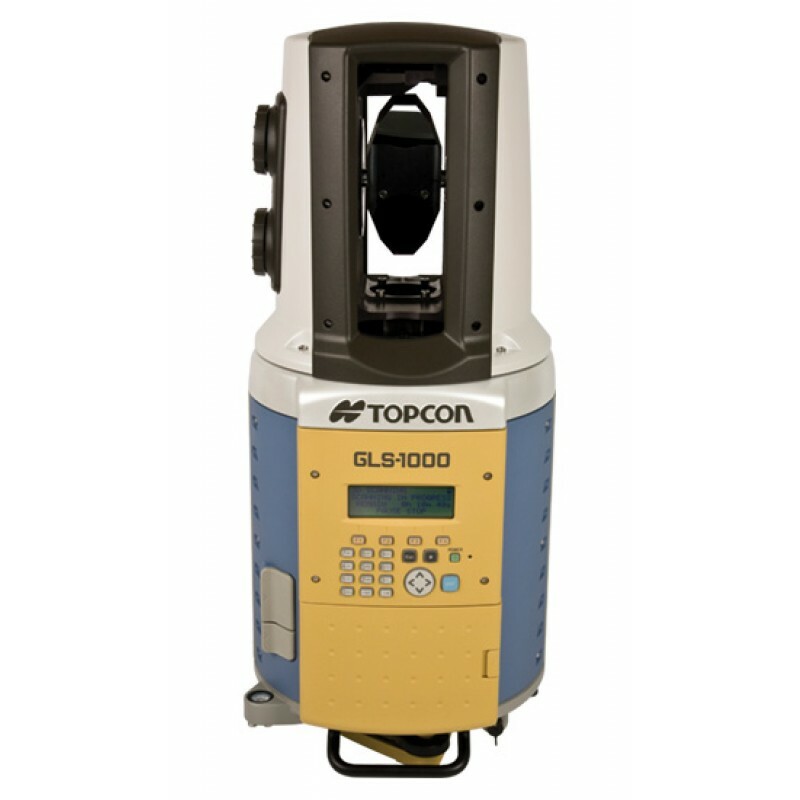 Unique to the Topcon GLS-1000 is the mechanical ability to select from multiple lens arrays to control the laser beam. This provides consistent 4mm accuracy throughout the range from 1m to 150m. Offers quick and hassle free setups, which reduce the amount of time between instrument setups and improve productivity. The GLS-1000’s design incorporates the use of on-board lithium ion batteries, so there is no need to carry around a bulky 12 volt battery. The aerodynamic design helps reduce the affect of wind. The GLS-1000 integrates pulse-based time of flight and phase-based technologies to achieve industry leading accuracy and “clean” scan data. The GLS-1000 inherently has less point cloud noise, the most consistent accuracy, the ability to detail slight texture variations and great results at ranges over 100m. The incorporation of on-board batteries reduces the amount of needed equipment in the field. The GLS-1000 uses four batteries two per side and these batteries are hot swappable. The GLS-1000’s laser is a class 1, invisible, and eye safe laser, which allows the unit to operate at any time or place with no effect to people or the environment. The 2 mega pixel digital camera allows for sharp and more detailed images. When connected to a PC, the digital camera offers live video feed of the job site, which aids in the scan setup and data acquisition. With the camera being built in this also reduces the amount of equipment needed in the field. The GLS-1000 offers wireless LAN (802.11b) and USB 2.0 PC connection. The use of dual axis compensators allows for more accurate instrument setups and scans. Occupy a known coordinate and backsight so traversing within one coordinate system is possible. Compensators can be turned off for tiltable mounts. The GLS-1000’s class 1 laser has a data capture rate of 3000 precise points/second--each and every shot is tilt-compensated and processed through the filter banks for fast and reliable scans of hundreds of thousands of points in just minutes. The GLS-1000 scan range is 150m to a typical surface (18% reflectivity). Extended range to 330m to more reflective surfaces. The class 1 laser of the GLS-1000 has a single point accuracy of 4mm throughout the 150m range. 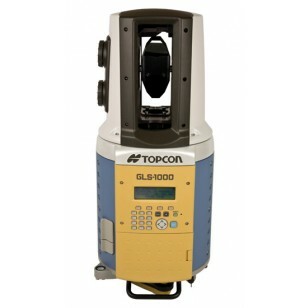 Unique to Topcon’s GLS-1000 is the mechanical ability to select from multiple lens arrays to control the laser beam. This provides consistent 4mm accuracy throughout the range from 1m to 150m. This ability is an advantage over single lens competitive scanners where the accuracy changes throughout the range of the laser. With the use of dual axis compensators, this allows the GLS-1000 to maintain an angular accuracy of 6”. This superior accuracy is a result of decades of Topcon optical angle encoders’ experience. The GLS-1000 has an on-board data collector with a LCD display and 21 keys keyboard. The GLS-1000 has the ability to function as a stand-alone laser scanner with no need to connect to a computer. This ability gives the scanner the freedom of not needing a PC to operate, which further reduces the amount of required field equipment. SD card data storage allows for easy data transfer from on-board data collector to processing software. The use of the GLS-1000’s horizontal and vertical jogs greatly increases the orientation process of setting up scans. The jogs also aid the use of the on-board data collector. The use of a class 1 invisible laser offers the benefit of low power consumption. With lower power consumption, the GLS-1000 can operate at longer times with fewer battery changes. Remarkably, distance, speed, and accuracy were not compromised while maintaining this lower power consumption. With the low power consumption of the class 1 laser, the GLS-1000 can operate for 4 hours doing a continuous scan on one set of batteries at a temperature of 20?C. The GLS-1000 includes an optical plummet to help with faster control point setups. To aid in leveling the GLS-1000 the, instrument has the ability to electronically display the tilt reading.